Hey teachers, start the Feed the Read program at your school today! Inspire your students with Feed the Read, a reading rewards program designed with you and your students in mind. It’s easy to participate with the tools, support, and rewards that we provide. Let’s dive into a good book, and a good meal, together! 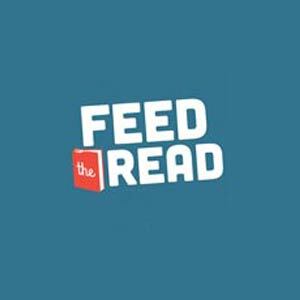 What is Feed the Read? Feed the Read is a reading rewards program for elementary and middle school children in the Madison area. How does Feed the Read work? Teachers will set the reading minute goals per month for their individual classrooms. Throughout the month, students will track their minutes of reading at home on a paper calendar. At the end of the month, the students will bring in their paper calendar verifying their minutes read. If the student reached the teachers goal for the month, they will be awarded a coupon for a free meal at any of the participating Food Fight Restaurants. What are the details regarding the free meal coupon? Each teacher will be given a year’s supply of free meal coupons. At the end of each month as the students turn in their calendars, the teacher will simply fill out the information on the coupon, including teacher’s name, grade level and date issued, and hand them directly to the student. The students will take the free meal coupon home to share with their family. The coupons can be redeemed at the restaurant of their choice. The coupon is good for one free children’s meal off of the restaurant kids menu. It is for dine-in only, and is good for one month after the issue date. Completed calendars are not valid for redemption. Please turn in all your hard work for your FREE meal certificate. What resources are there for teachers to administer in Feed the Read? We have made it so easy for teachers and the school district to participate in this program by providing monthly calendars to download and other tools to motivate kids to read.